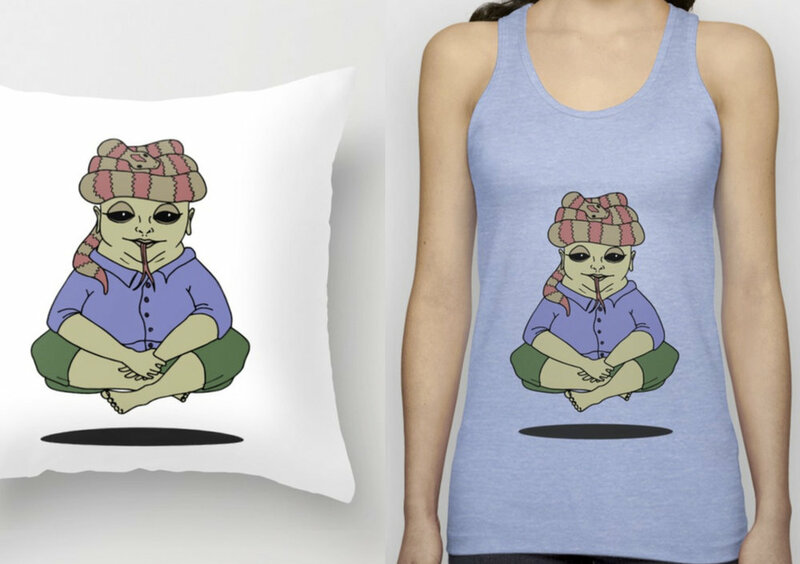 You can find some of my illustrations and patterns on Society6 and Red Bubble. 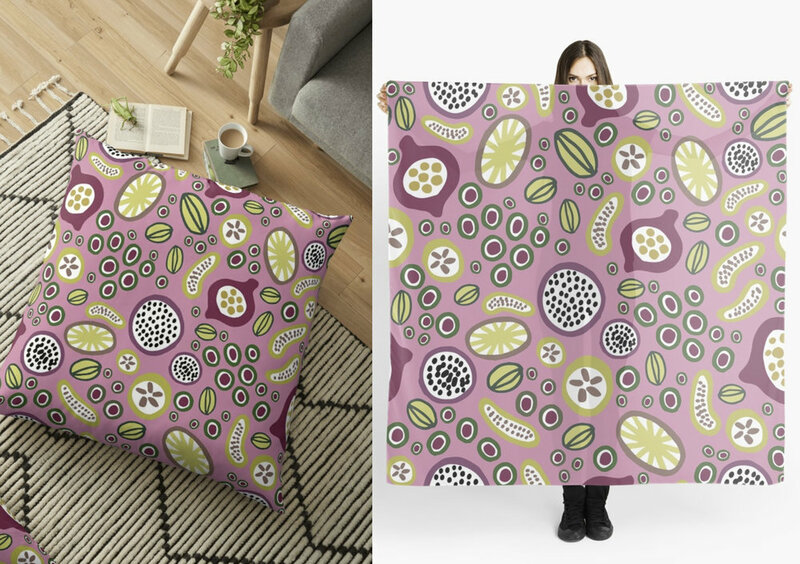 I have decided to use both Society6 and RedBubble as they differ a bit when it comes to product range as well as which countries they can offer shipping to - Society6 doesn't ship to Brunei as of now, for example. 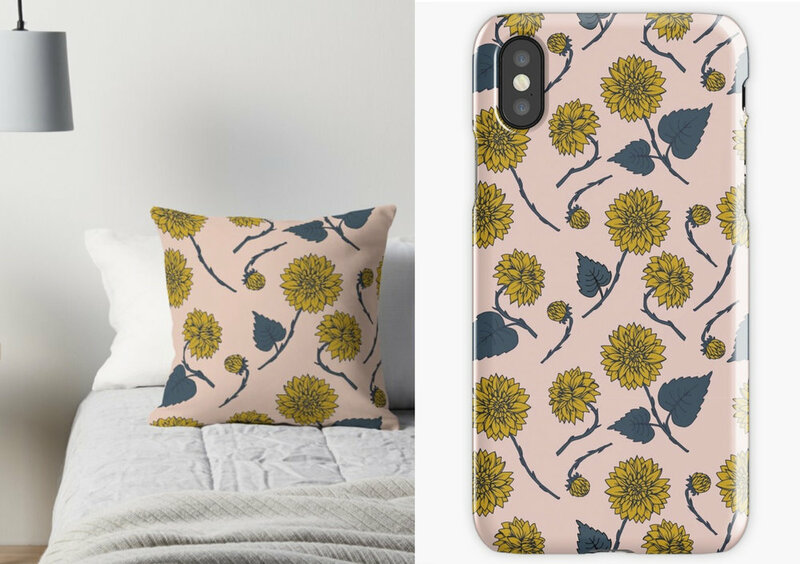 The images to the left are examples from products available from Society6, and to the right examples from the Red Bubble selection. I hope you find something you like! This pattern is inspired by my grandfather Axel, and all of the fantastic dahlias in the gardens of my childhood. The pattern comes in two colors and can be applied to a bunch of different products. 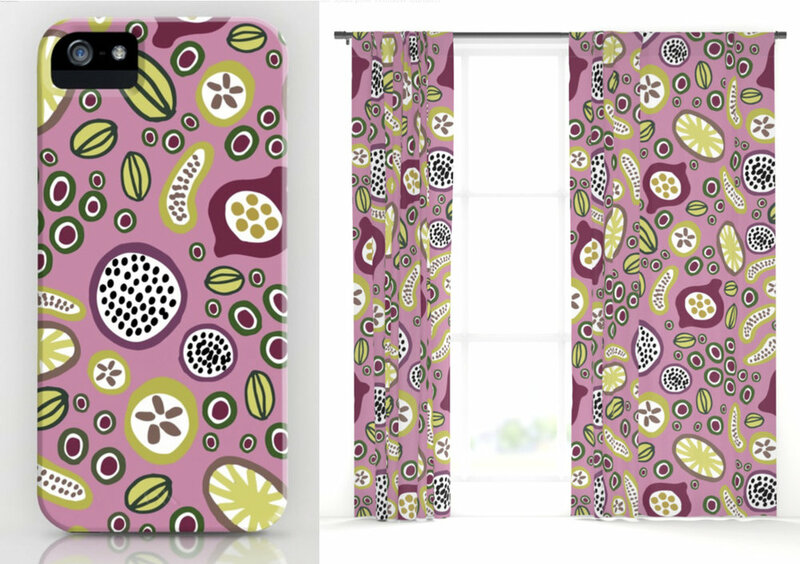 One of my own personal favorites among my patterns is this abstract, happy, fruit-inspired pattern. 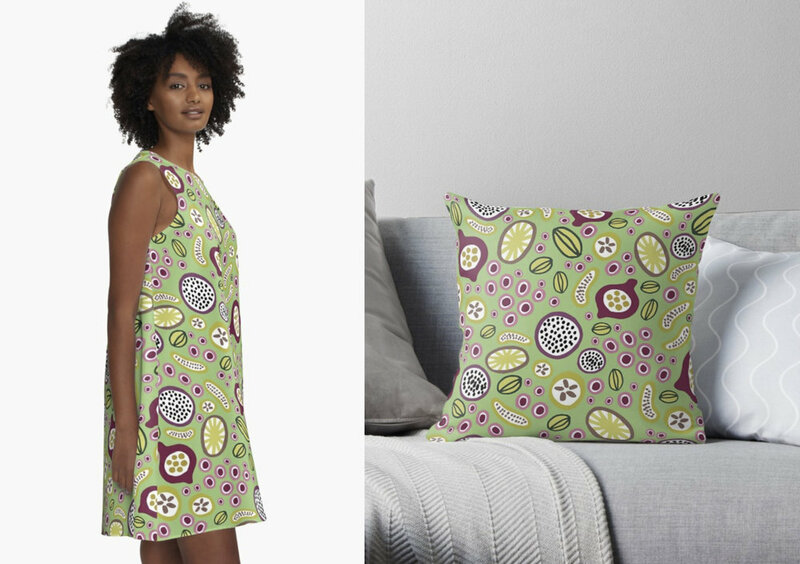 I have chosen to make this available on a bunch of different products, ranging from both apparel to home decor. 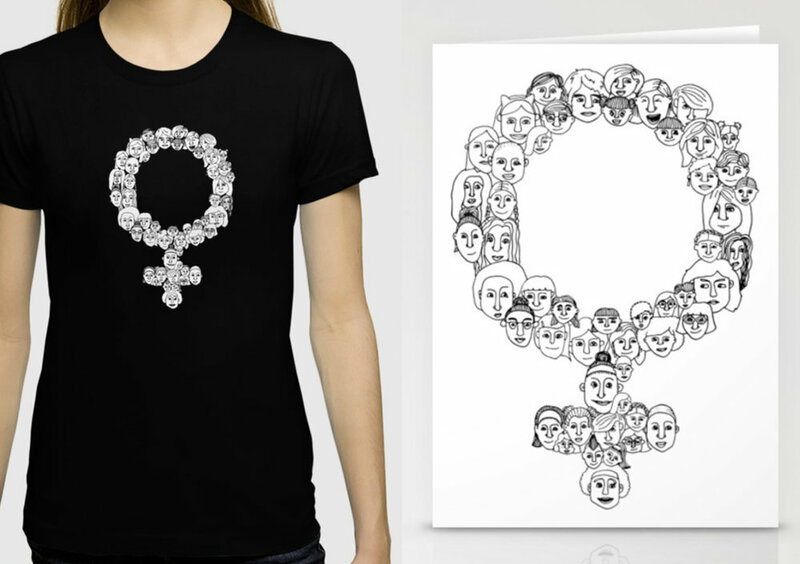 This feminist-symbol is made up of faces, representing that feminism can come in different shapes and forms, but that it concerns us all. The illustration looks cool on both white and colored background. My series of friendly (?) monsters comes as a bunch of different products such as cell-phone cases, tops and t-shirts.